Wattanaporn at #256 Sampeng Lane – ร้าน วัฒนาภรณ์ – has a great supply of colorful beads & bead assortments, wire, charms, beading cords, bamboo purse handles, feathers, leather bracelets and hand woven cotton bracelets. They also have wholesale necklaces, earrings, and African themed accessories. Open 8:00 am to 5:30 pm daily except Sunday 8:00 to 3:00. I hope all is well. 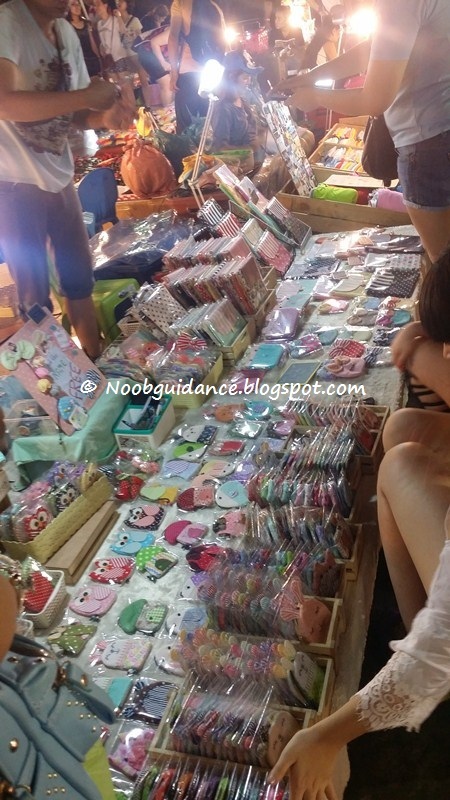 I’ve really enjoyed reading some of your posts about Bangkok shopping in the local markets! I will be coming to Bangkok for a few days starting from tomorrow. I was wondering if you could help me? I’m looking for these super-cute fabric covers for keys, phones, passports etc. I found some in the Palladium Mall (outdoor market) but can you tell me where else I can find them? I´ll be in Bangkok next week for 2 weeks just for shopping fabrics wholesale. Do you have any address selling PVC-Fabrics or laminated cotton in Bangkok?